This is the first part of a series of articles about technical analysis from a new course we're developing. If you are new to charting, these articles will give you the “big picture” behind the charts on our site. If you are an “old hand,” these articles will help ensure you haven't “strayed too far” from the basics. Enjoy! Technical analysis is the study of price and volume changes over time. Technical analysis usually involves the use of financial charts to help study these changes. 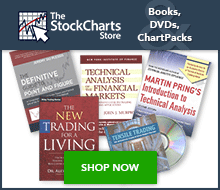 Any person who analyzes financial charts can be called a Technical Analyst. Despite being surrounded with data, charts, raw numbers, mathematical formulas, etc., technical analysts are really studying human behavior - specifically the behavior of crowds with respect to fear and greed. All of the investors that have any kind of interest in a particular stock can be considered to be “the market” for that particular stock and the emotional state of those investors is what determines the price for that stock. If more investors feel the stock will rise, it will! If more feel that the stock will fall, then fall it will. Thus, a stock's price change over time is the most accurate record of the emotional state - the fear and the greed - of the market for that stock and thus, technical analysis is, at its core, a study of crowd behavior. When was the last time you saw a 100% accurate weather forecast for your area? Chances are that at least some of the weather predictions your local weather person tells you won't come to pass. In many cases, most of the predictions are wrong. So why do we keep listening to weather forecasts? Weather forecasts are useful because they help us prepare for what is likely. If the forecast calls for rain, we bring our umbrellas with us when we go out. If sunshine is predicted, we bring our sunglasses. We know that we might not need these things, but more than likely we will and we like to be prepared. Weather forecasters measure temperature and air pressure and then use that data to determine more about the factors that cause weather changes - i.e., fronts, high pressure, low pressure, etc. Technical analysts use price and volume to determine more about the factors that cause market changes - i.e. fear and greed, trends, reversals, support, etc. Despite huge quantities of weather data at their disposal, weather forecasters still use their experience and intuition when creating each forecast. Technical analysis also draws heavily from the experience and intuition of the person doing the analysis (you!). Accurate weather forecasting requires local knowledge and experience. A forecaster from Florida that moves to Alaska will need time to become familiar with Alaska's weather patterns. Similarly, technical analysis requires experience and knowledge about the kinds of markets being charted - stocks are different from commodities which are different from mutual funds, large stocks are different from small stocks, etc. In the early days of weather forecasting, charlatans tried to convince people that they could somehow control the weather or that their predictions were always accurate. Unfortunately, even today, you can find people making similar claims about technical analysis. Weather forecasts tend to be most accurate when things aren't changing. If it has been sunny for the past three days and no big weather systems are approaching, chances are it will be sunny again today. Technical analysis also works well when conditions aren't changing dramatically. Both disciplines have more trouble with predicting exactly when big changes will occur. Both weather forecasting and technical analysis work well for the “mid-sized view.” While predicting the weather for a large city is possible, predicting things for a city block is very hard. Similarly, second-by-second technical analysis can be extremely tricky; daily and weekly analysis is more reliable. Conversely, predicting weather for the country as a whole (i.e., “It will be sunny in the US today”) and predicting the market as a whole (i.e., “This year stocks will go up”) are too broad to be useful. It is easy to lose perspective on what technical analysis can and cannot do. Try to remember this comparison with weather forecasting to keep yourself aware of its benefits and limitations.